червня 2, 2015 Конференції | ННЦ "Інститут біології"
травня 22, 2015 Конференції | ННЦ "Інститут біології"
Программу заходу за цим посиланям. 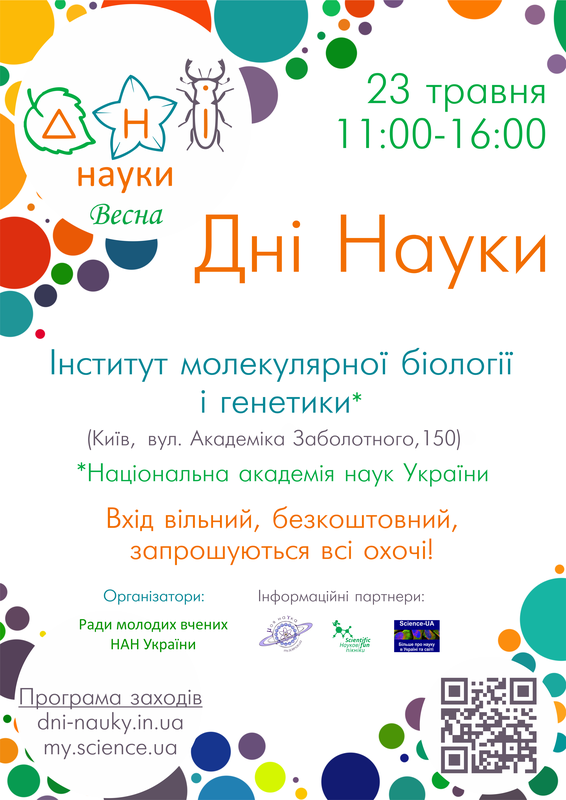 травня 15, 2015 Конференції | ННЦ "Інститут біології"
We would like to invite all European physiologists and biomedical scientists to attend the joint meeting of FEPS and the Baltic Physiological Societies in 2015. The meeting will be held in Kaunas, Lithuania in August 26-29, 2015. The congress will include plenary lectures of distinguished scientists, symposium organized on hot topics in physiological sciences, oral presentations and poster sessions. The program will cover the broad range of physiological sciences, and include the traditional FEPS Young Scientist and Physiology Teaching Symposium. The scientific quality of the presentations will guarantee that this meeting will be a memorable event for all attendees, and the program will be designed to provide opportunities for scientific exchange between the participants.